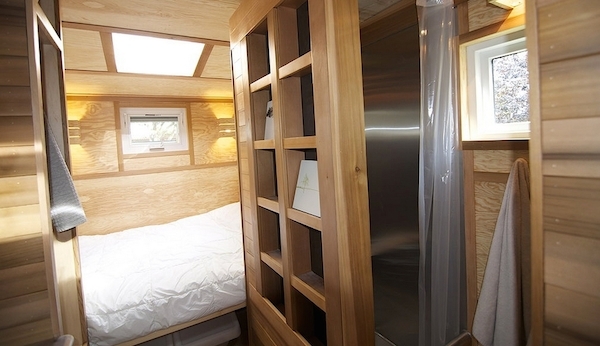 The Salsa Box Tiny House measures a meager 96 square feet. 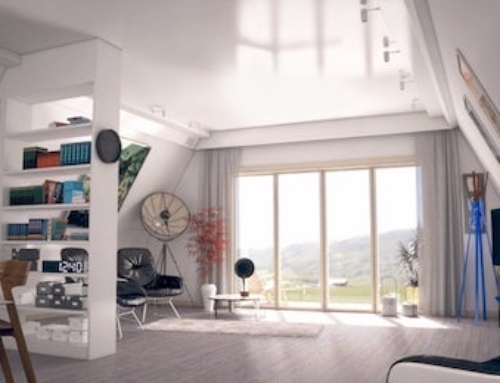 Despite its small size, it is still large enough to house a queen sized bed and many storage spaces, creatively placed to maximize the available space. 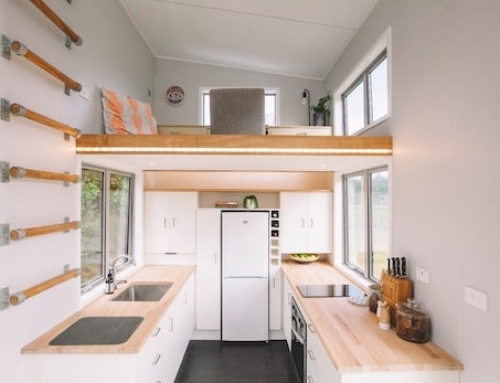 The Salsa Box Tiny house was designed to be used as a nature retreat for any one looking to live as one with their environment without leaving a huge footprint. 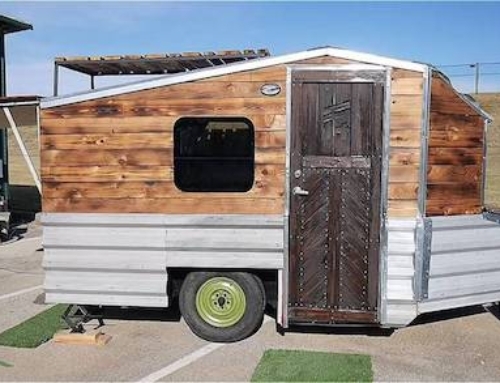 The Salsa Box Tiny House is fitted with a full 30 Amp RV hookup and an RV water connection. 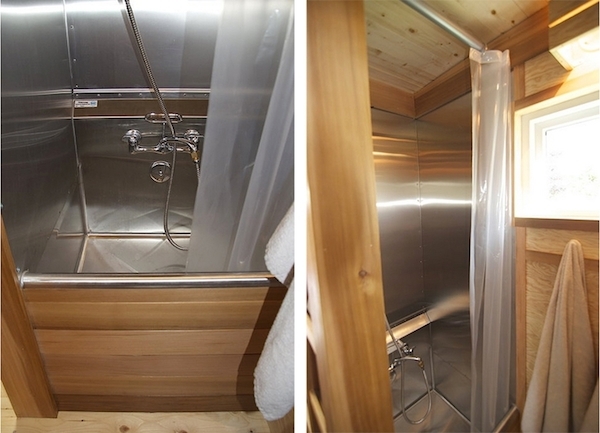 It also features a fully functional, mini tub/shower combo, which takes up about 8 cubic feet of the interior. The bathroom is also equipped with a flushing toilet. 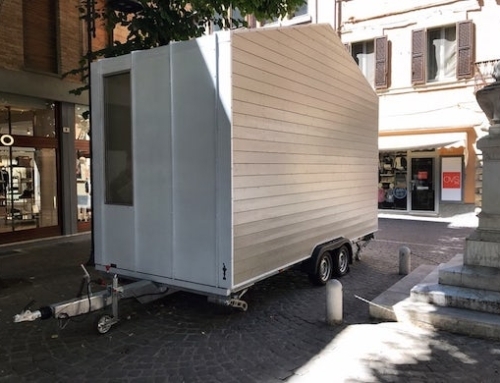 The Salsa Box tiny house can also be modified to be completely off-the-grid and is built to withstand a variety of weather conditions, such as those found in a desert, mountains, coast and elsewhere. 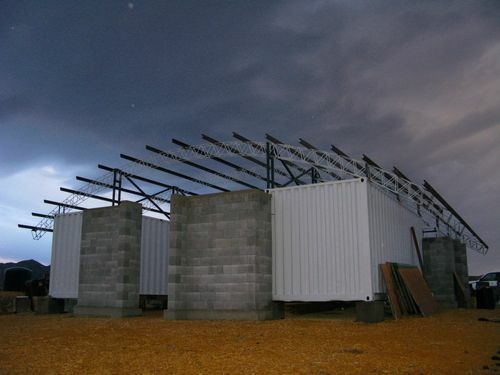 It is well insulated using dense pack insulation resulting in walls with an insulation value per inch of R 3.8. 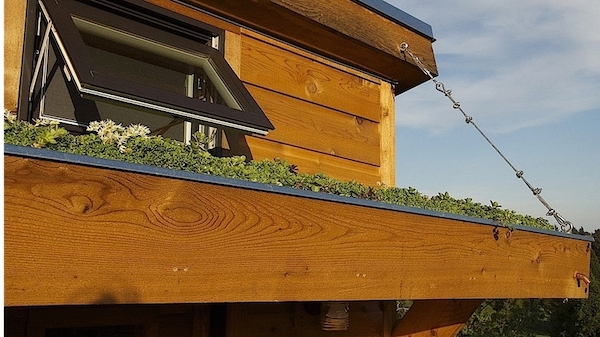 The tiny house also features a small living or green roof over the house. 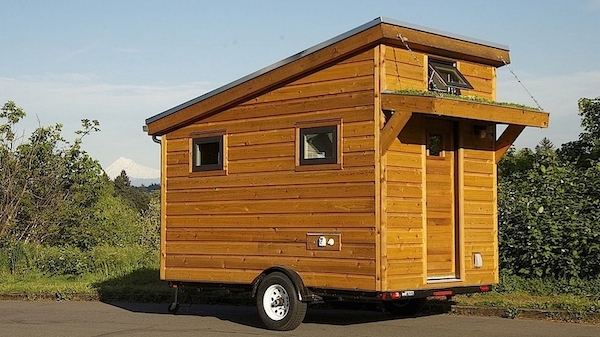 It measures 2.5 feet by 8.5 feet and is made up of rough sawn cedar and a metal pan. 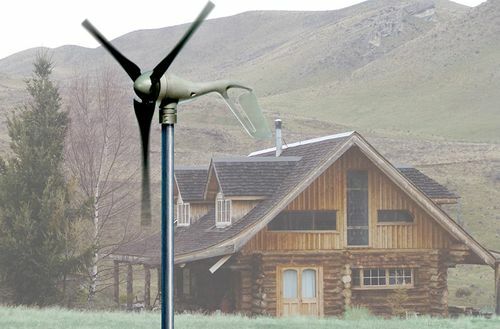 It is large enough to be used by the owner to grow some of their own vegetables. 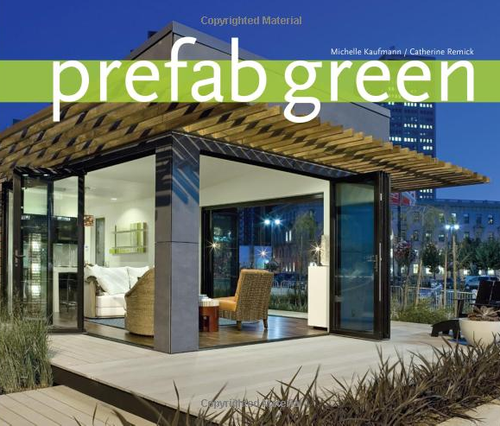 The tiny house was built using a simple construction process, which is focused on maximizing weight-saving, energy-saving and space-saving measures. 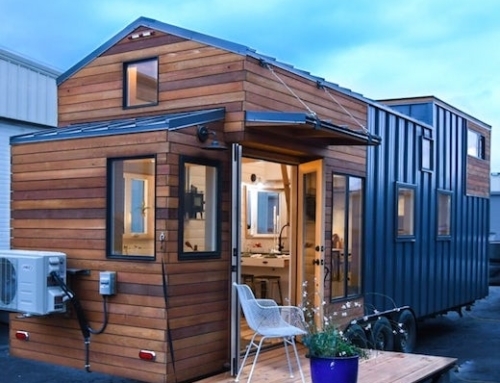 The Salsa Box was originally built as an instructional model for workshop attendees, but it works just perfectly as a real tiny homes. The Salsa Box comes in three different lengths, namely 12 feet, 16 feet and 20 feet. May I have one to try out please? 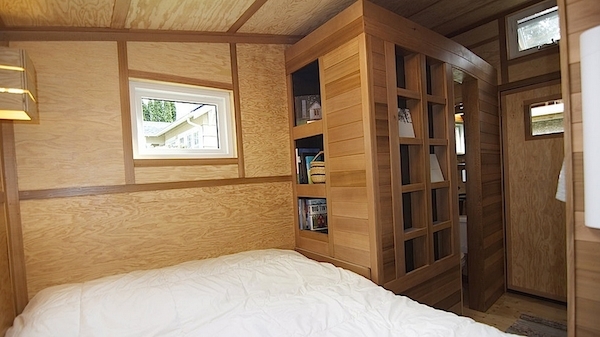 The modifications I will do is make bed full size with a Murphy bed type design when closed space becomes multipurpose. 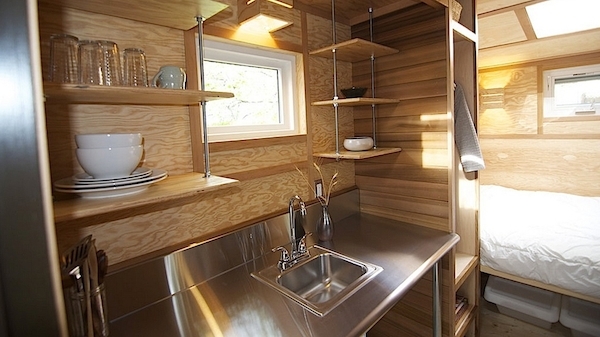 Install a small kitchenette where current sink & counter top are.